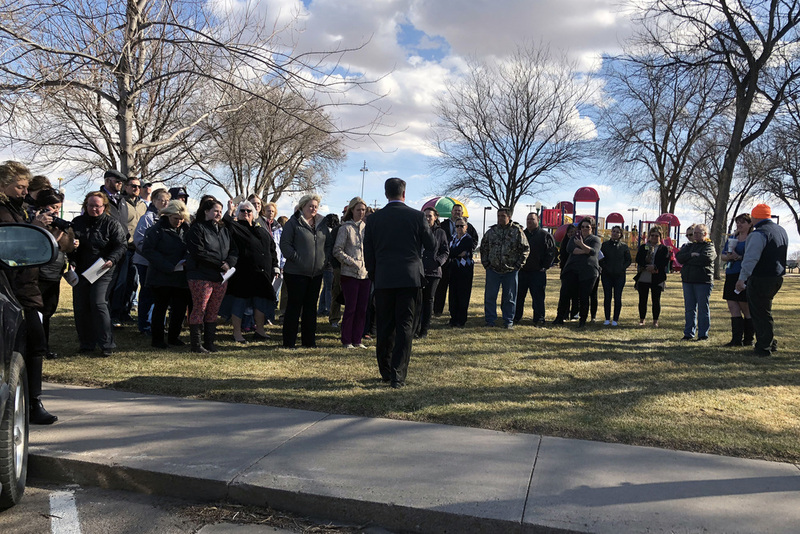 A group of community members, parents, and school staff held an Education Rally on Tuesday March 20 at the Holyoke City Park to discuss the needs of K-12 students in the state of Colorado. John McCleary spoke to the crowd about Colorado’s negative factor, a situation where the state has not increased educational spending to keep pace with the rate of inflation. Colorado currently ranks 42nd in the nation in per pupil funding and 50th in teacher salary competitiveness. Colorado has more than 3,000 teacher positions that need to be filled in the upcoming school year, and we are experiencing an unprecedented teacher shortage. State and federal funds for students with disabilities aren’t keeping up with district’s increased special education costs. Only Arizona and Oklahoma spend less on special education services than Colorado. Additionally, at a time when access to mental health services in schools is paramount our school counselors are overloaded. Bret Miles shared with the group some potential funding initiatives that could help our schools. He pointed out that lawmakers are currently debating the budget, and they welcome feedback about our priorities. Colorado’s economy is one of the strongest in the nation. The state's economic forecast came out with a projection that the State's General Fund is expected to grow over 1.2 billion dollars. The KIDS MATTER TOO campaign is not a new tax, but is about allocating a portion the money the Legislature already has to work with in its general fund budget toward education. Mr. 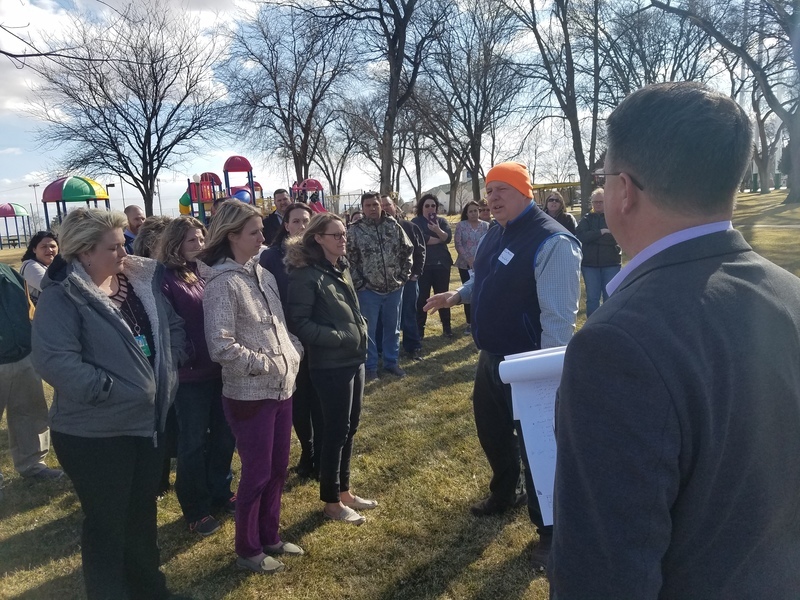 Miles also educated the gathering about House Bill 18-1232 which would modernize the school finance formula, and the ballot initiative Great Schools, Thriving Communities petition. Bret Miles shared with the crowd information about how to contact our government representative to share our views. Representative Jon Becker, jonbecker@gmail.com, or 303-866-3706. Senator Jerry Sonnenberg, senatorsonnenberg@gmail.com, or 303-866-6360.